I think it’s common knowledge now for my readers that my husband and I are self-admitted mattress nerds. We’ve tried countless mattresses and with no hassle return periods being the standard these days, there’s very little risk for us. Well, we did it again! 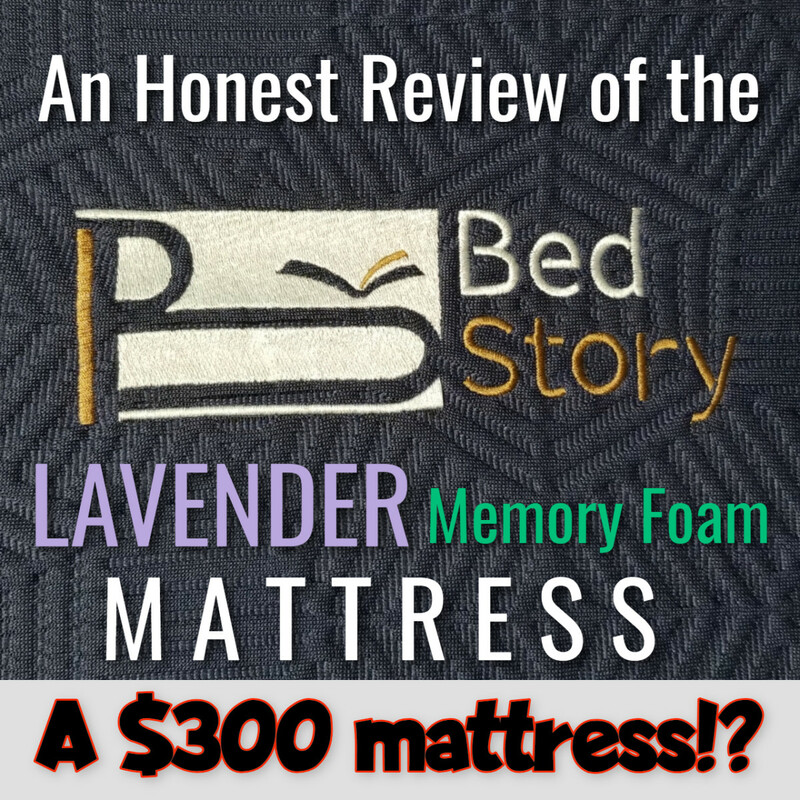 We recently decided to try a very intriguing memory foam mattress, the BedStory mattress. 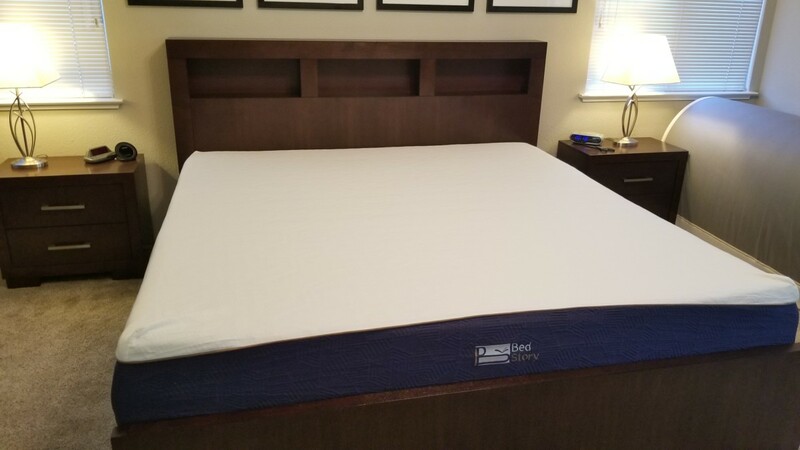 Now, there has certainly been a lot of hype online about this mattress lately, and with an extremely attractive price, we decided to give it a shot. The king-sized version was just over $400 (and it’s significantly less for smaller versions) which is an absolutely amazing price, so much so that I was more than a bit skeptical. But one look at all the positive reviews on Amazon for this mattress, and it’s certainly pretty convincing. 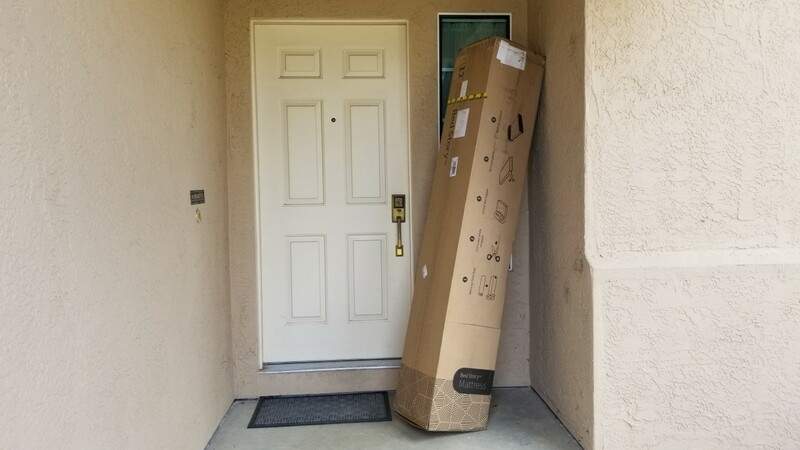 So we ordered our mattress and thanks to Amazon Prime, it arrived at our doorstep within two days! Now we just had to find out if this mattress was a cheap gimmick, or if this is now the new “mattress to beat” that all future memory foams would be compared to. Let’s find out! This article is broken up into three parts. We choose what seems to be the most popular version of the BedStory mattress, the Lavender Memory Foam Mattress. It has some of the best reviews I’ve seen for a mattress on Amazon, so this was the one we went with. Knit Fabric Mattress Cover: This mattress’s knit cover is a non-woven fabric that stretches and conforms easily so as to not interfere with the feeling of the memory foam. It’s also hypoallergenic and designed to be breathable. Infused Lavender Scent: One of the top layers of this mattress is infused with a lavender scent via essential oils. Lavender is said to purify the air and relieve stress. We actually didn’t notice this feature until we unpacked the bed. More on that in a bit! Four Layers of Support: The top layer is a fireproof fabric that helps this mattress reach CFR1633 fire standards, followed by a 2.5-inch layer of the memory foam, then 7-inches of air circulation foam, and finally 2.5-inches of high-density support foam at the bottom. Air-Circulation Foam Layer: The air circulation foam layer is worth a separate mention here since it’s pretty unique. Basically, this is a large layer of foam that has very large channels for air to flow through it. This is to help keep the mattress cool. CertiPUR-US Certified: This means the mattress is free from harmful chemicals in its construction. The company claims the mattress is very eco-friendly. The BedStory mattress arrived at my door in two days with free shipping thanks to Amazon. We used this red hand truck and a simple tie down to wheel the approximately 80 pound box to our second floor bedroom. 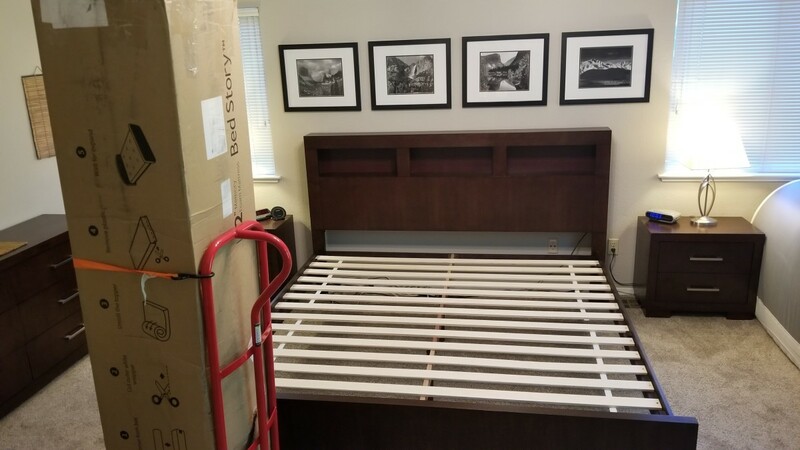 The bed is upstairs and ready to go on our platform! The BedStory mattress is tightly compressed inside plastic. You just need to carefully cut it open and unroll the mattress. It'll start expanding immediately (follow the instructions inside the box). Here's the unrolled mattress. You can see it's still a little deformed. In the next few hours it seemed to get to it's full shape! Everything looks good so far! Gone are the days of being able to go to a mattress store and lay on countless different beds before choosing the perfect bed for you. Now it’s all done online and shipped to your door. This can certainly be scary for some of us, but the majority of these mattress-in-a-box companies now offer very generous trial periods. So you just need to buy it, try it, and do the not-so-bad return process if you don’t like it. Probably the most difficult part of writing a detailed review for a mattress is describing the feeling you get laying on it. Although you’ll never have the full idea of what it feels like until you try it, I’ll do my best to give you a detailed description of what it’s like to lay on this mattress, as compared to other memory foams. Firmness: This mattress is certainly very unique in my opinion. It’s advertised as being a good compromise between a firm and a soft mattress. However, I must say that it definitely feels more on the firmer side to me. 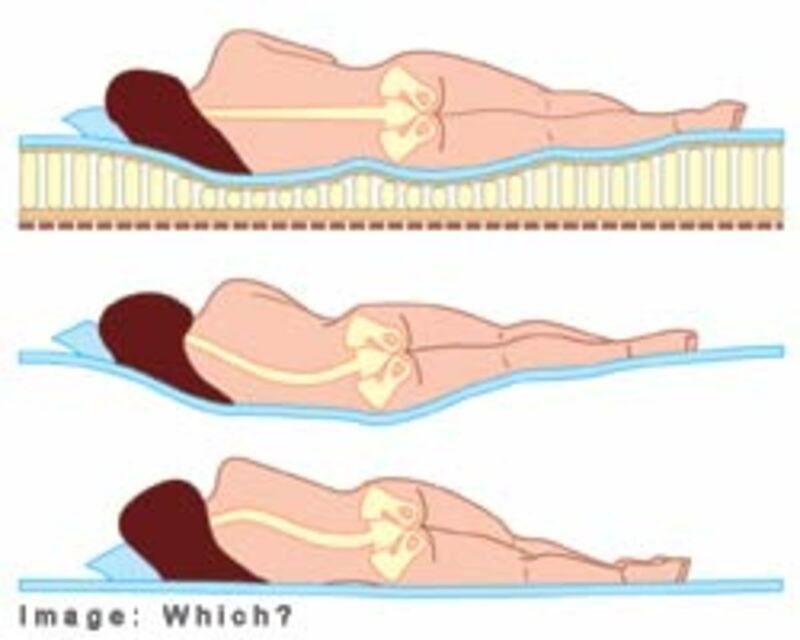 This means that it’s generally better for back or stomach sleepers. It could also be a great fit for you if you’ve always avoided memory foam mattresses because they’ve felt too soft for you in the past. Rebound: This mattress does do something very interesting. All memory foams will mold to the shape of the person laying on it, and then rebound when the sleeper moves pressure away from the area. Mattresses all seem to have different rates at which they do this. Well, this mattress rebounds very slowly. When I say very slowly, I do mean extremely slowly. Your imprint will stay up to a few seconds before it disappears again, which is an incredibly long time for memory foam, in my experience. This mattress has a very unique feeling which my husband and I love. Yes, it’s a bit firmer than other memory foams I’ve tried, but it holds the molded shape longer than the others. This still provides you with a slight ”hug” feeling while sleeping—something you don’t normally get with a firm memory foam mattress. I said this mattress was unique, right? I meant it! I don’t know if this feeling will be for everyone, but I certainly feel more people need to try it, because I think a whole lot of you will absolutely love it. Too Hot or Too Cool? I generally have never had an issue getting too hot while sleeping. My husband, on the other hand, is always getting too hot while he sleeps. He’s had varying degrees (no pun intended) of success with different mattresses staying cool at night. He reported waking up a few times during the night sweaty and hot with this mattress. He stated it was certainly a bit worse than our old mattress. I had no issues with getting hot at night, although I rarely do with any mattress, so I may not be a good gauge to go by. So if you’re a hot sleeper, this may not be the mattress for you. 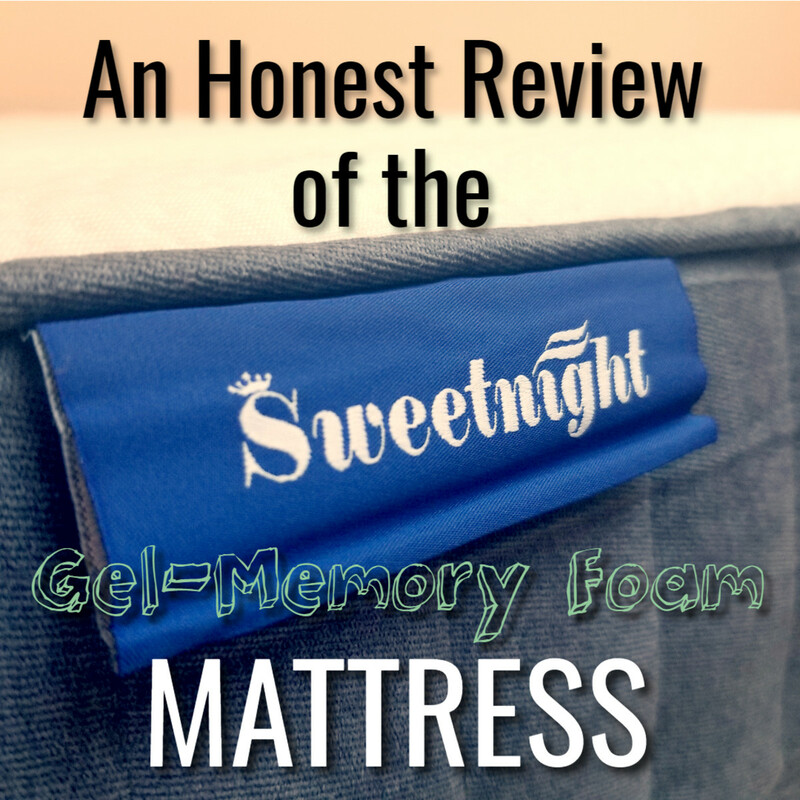 If you really like the described feeling of the mattress in the previous section, you may want to try BedStory's gel memory foam version of this mattress (see “Other BedStory Mattress Options” section of this article). Gel memory foam is exceptional at helping to transfer heat away from the body. Hot sleepers (like my husband) prefer this mattress. This mattress has excellent edge support. Like most modern memory foams, there is no “edge” to the mattress created by a separate material. It’s just the same memory foam all the way out to the edges. My husband sometimes likes to sleep near the edge of the mattress, and he says he has no problem doing that on this bed. There is no excessive sagging or any other issues as you get closer to the sides. The bed holds its shape very well. Here's the bed after it sat long enough to become fully expanded, along with my bowling ball in the middle! 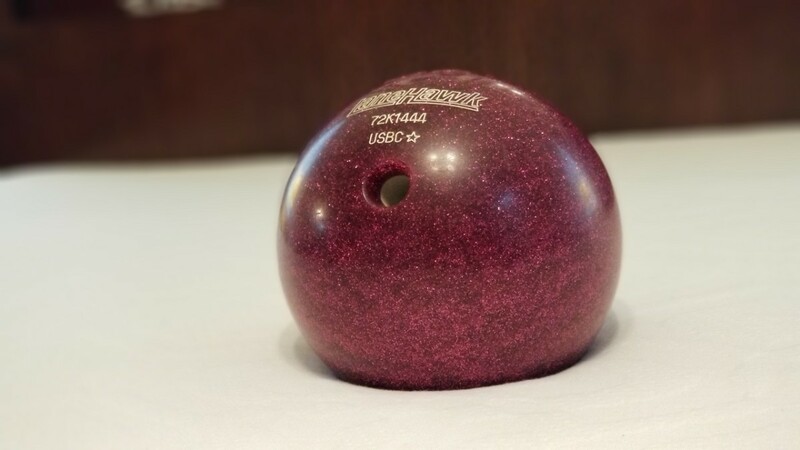 Here's a close up of the bowling ball. You can see how the mattress hugs you slightly—while still being a slightly firmer memory foam. I’m happy to report that we didn’t have any issues with motion transfer with this bed. 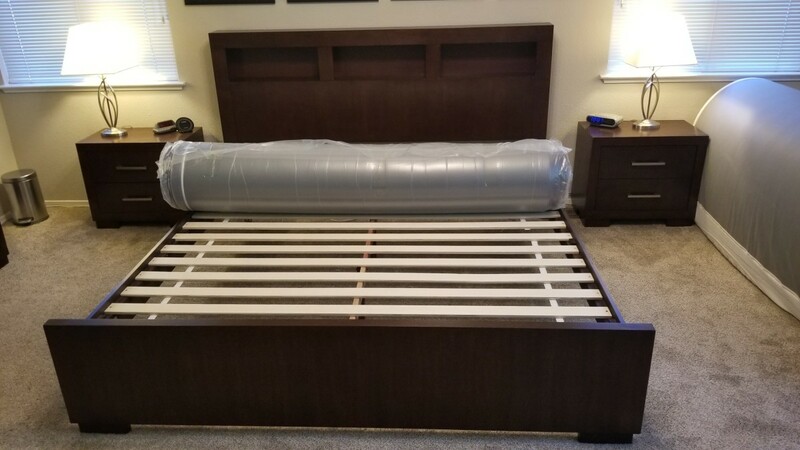 I am not sure exactly what part of the bed’s design gets the credit for this, it may just be their combination of memory foams they use, but either way, it does an excellent job at this. My husband likes to toss and turn a lot and I didn’t feel it at all. Which is surprising because I usually wake up with even the slightest movement. So overall, this mattress gets five stars from us for keeping motion transfer to a minimum. I’ve said a few times how unique this mattress is, well the off-gassing of this bed certainly kept with that trend! I don’t know if my husband and I just didn’t believe what the listing for this bed stated when we bought it, but we certainly didn’t expect bursts of lavender smells to fill our room when he opened the mattress! That’s right, if there was any off-gassing of this mattress, we certainly couldn’t tell through the smells of lavender filling the room! This mattress is infused with lavender essential oil which the company claims helps to keep the air pure and provide a more restful sleep. One other side effect is that there’s is no discernable off-gassing smell like you typically get with memory foam mattresses. We did notice that the lavender smell was fairly strong on the first day, and then began to decrease the more we let the mattress “air-out.” The first day it was very strong, and we left a window open that day. On the second day, it was about half the strength. On the third and fourth days, it seemed to subside and become stable at a lower level where the mattress remains. Yes, the mattress is made so it always has that faint scent of lavender, which it still does! We both enjoy it quite a bit and don’t find it overpowering at all now that the bed has had a few days to air out. This is the exact mattress we bought, we love it! It's a firm(ish) memory foam that still hugs you like a memory foam mattress should. Make sure you select the right size! 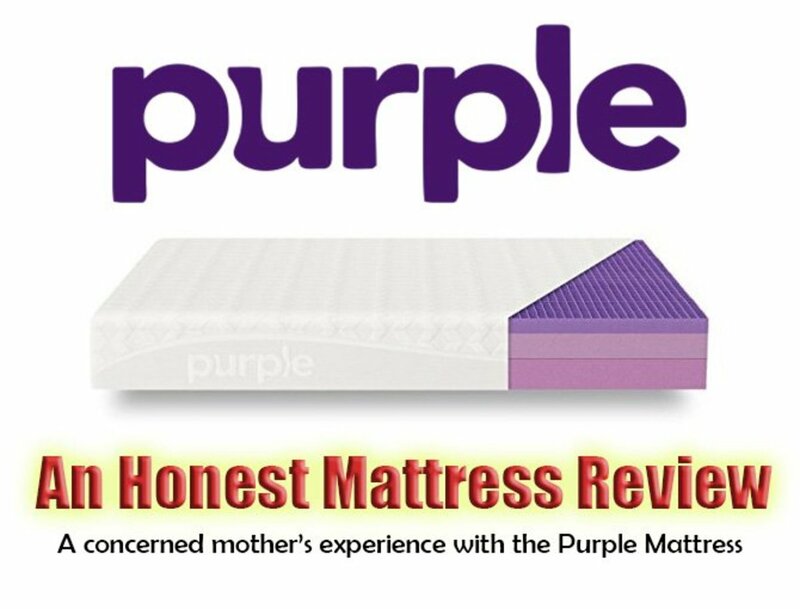 The button below will take to to the Amazon listing for this mattress—look at those reviews! BedStory offers both hybrid mattresses as well as the memory foam mattresses. I won’t call any of these “traditional memory foam mattresses” since they each have unique features. At the time of this article, these are the versions being offered. Latex Hybrid Mattress (10-inch): This version incorporates a latex layer in the memory foam design that is said to help reduce allergens. It’s also resistant to mold and dust mites. It also features “air circulation foam” (basically foam with long grooves cut into it to improve airflow) and the mattress cover is made of moisture-wicking fabric, to help keep you dry. Gel Hybrid Mattress (12-inch): This mattress incorporates springs into a memory foam design which includes gel memory foam (known for its ability to keep the sleeper cool). 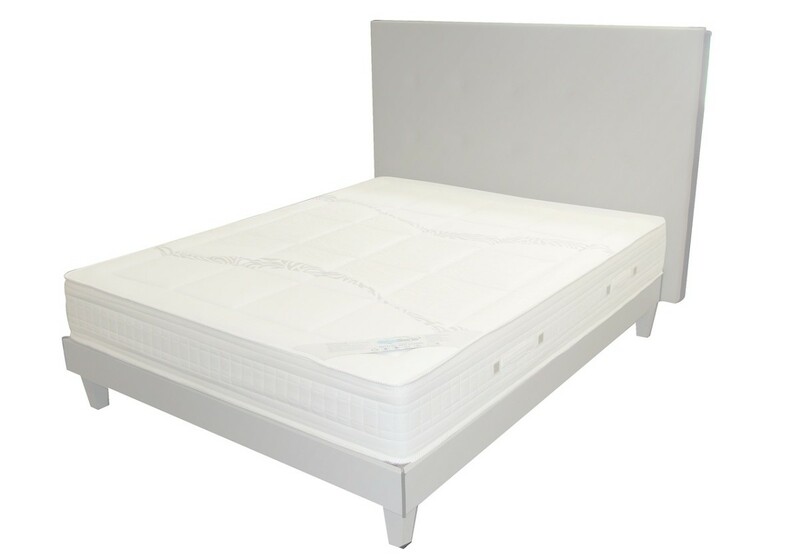 Convoluted foam is used to ensure plenty of airflow throughout the mattress while making it very plush feeling. This is a good “in-between” mattress that is somewhere between memory foam and a traditional spring mattress. Lavender Memory Foam Mattress (12-inch): This is the version we choose. 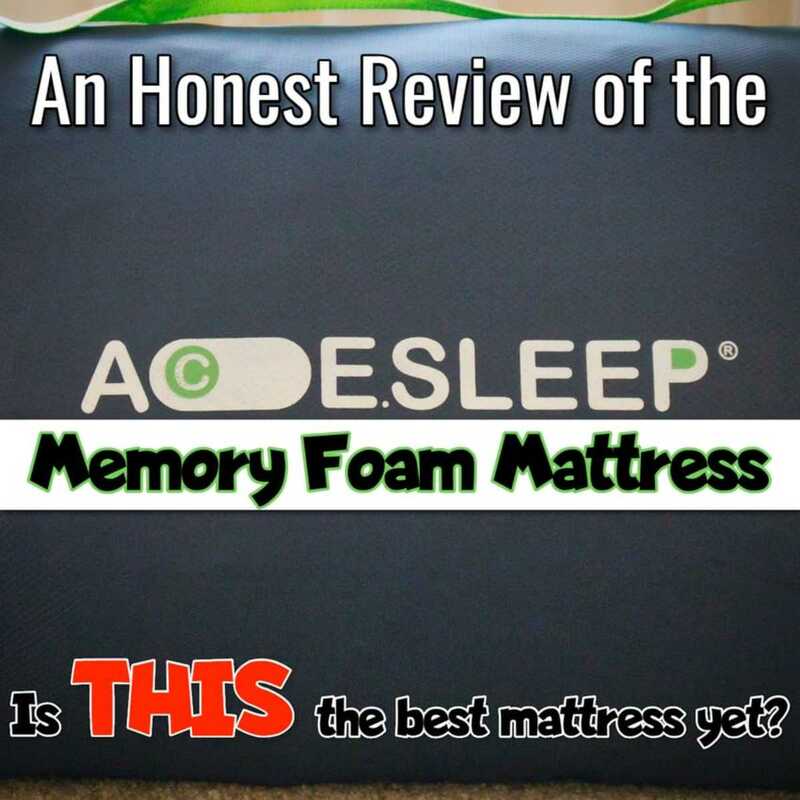 It’s closer to a more traditional memory foam mattress but is reported to be a good balance between firm and soft. It also features the convoluted foam to help keep the sleeper cool. A knit mattress cover absorbs moisture, helps the mattress to breathe, and dries fast. Once layer inside the bed is infused with a lavender scent. Gel Memory Foam Mattress (12-inch): This mattress features a hypo-allergenic mattress cover as well as bamboo charcoal gel memory foam. Bamboo charcoal is said to absorb toxins and keep the air pure while gel memory foam is known for keeping sleepers cool. Convoluted foam is also used to ensure maximum airflow through the mattress. This is the better memory foam to choose for hot sleepers. 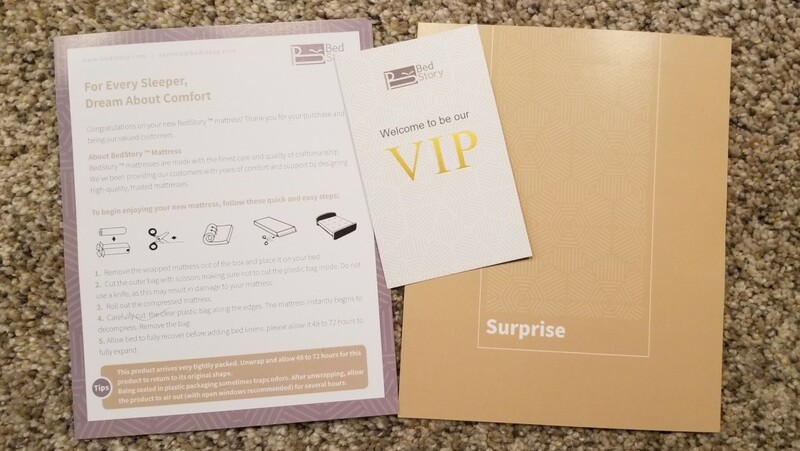 Here is the very basic documentation that came with the mattress. 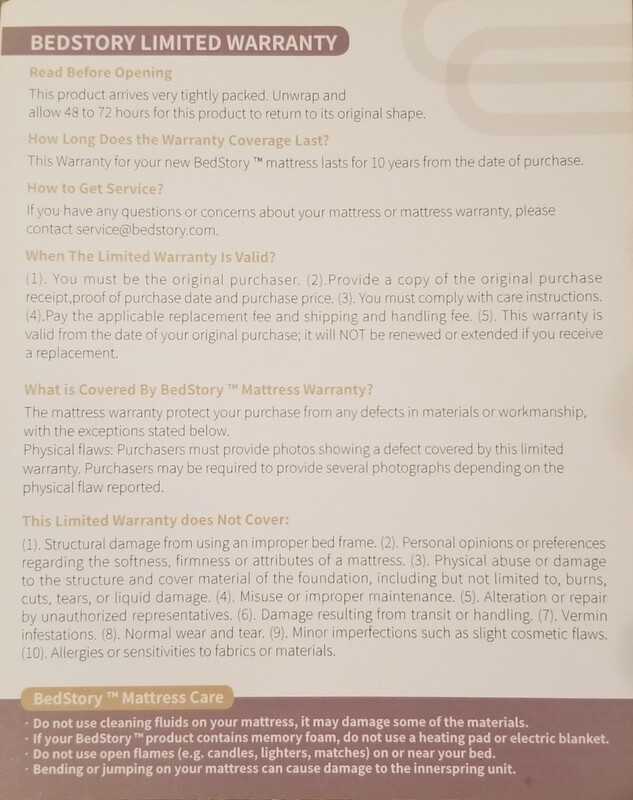 Here's the included warranty information card, which does provide some insight into the mattress's warranty. They need this information on their website! This manufacturer sells all of their beds through Amazon at this time (as far as I can tell). 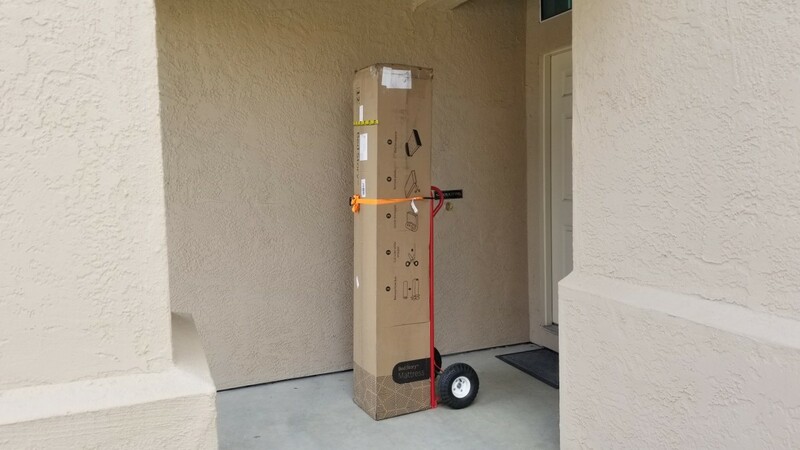 So shipping is quick and simple via Amazon Prime. We got our bed in two days, right to our front door with no issues. Shipping was also free. BedStory will accept a return of your mattress up to 100 days after purchase. The funny thing is that their website actually states that they will not accept a return before 30 days and this is to allow “your body ample time to adjust to the feel of a new mattress” I will give them credit with that statement, with every mattress you buy you do need to give it a little time to see how you will truly sleep on the mattress. If you absolutely must return the bed prior to 30 days, I would suspect that you’d have no problem doing that through Amazon since they have a policy of accepting any returns within 30 days without an issue. So if you have to return it prior to 30 days, I’d contact Amazon directly. If it’s after 30 days, contact BedStory by e-mailing them about your desire to return the bed at service@bedstory.com. My guess is that it’s probably easier to return it directly to BedStory than to Amazon. The reason is that Amazon usually requires you to ship the item back while most mattress-in-a-box manufacturers will set up for a donation center to come to your house and retrieve the mattress for your before refunding you the amount of your purchase—a far easier process. BedStory includes a 10-year warranty on their mattress which is certainly a solid length of time. Unfortunately, the details of this warranty are not accessible on their website at the time of this article (as far as I could find). This is a bit of a concern as most manufacturers will post the details of their warranties in plain view on their website. Per the reviews from other customers on Amazon though, there are overwhelmingly positive experiences reported about BedStory’s customer service, so I am sure the warranty will cover the most common issues like sagging or splitting. 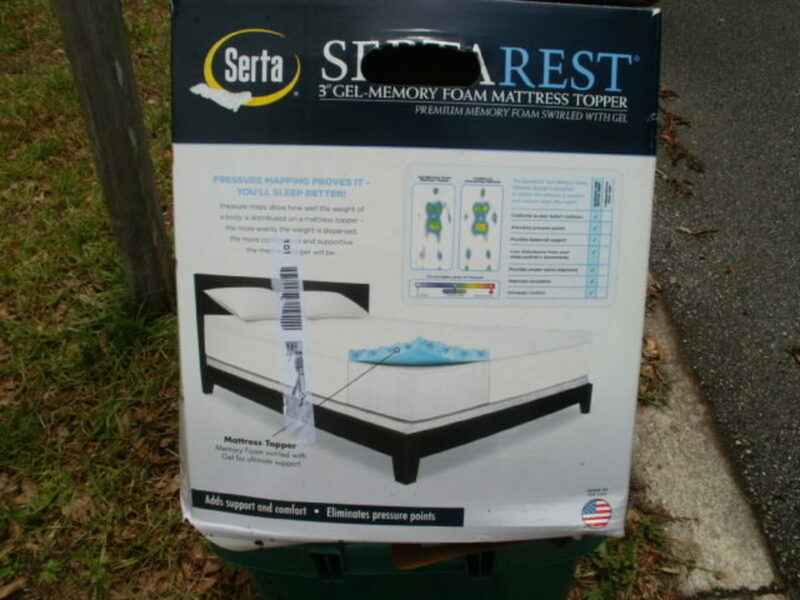 For the price of this mattress, I was certainly expecting somewhat of a gimmick. 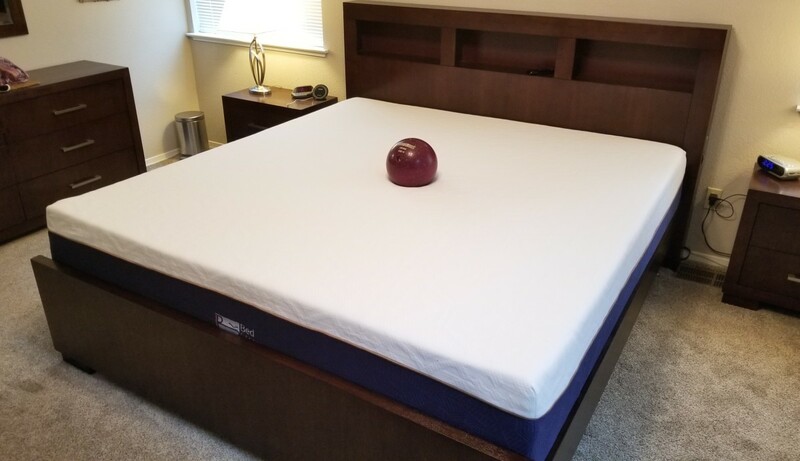 I mean, this is (I believe) the cheapest memory foam I have seen to date from an apparently reputable bed manufacturer. But, the overwhelmingly positive Amazon reviews from other customers had me questioning that assumption. Well, I was proven wrong once I got the mattress and slept on it for a few nights. We love the mattress. We love the feeling, and that good “hug” feeling it has even though it’s a firmer mattress. The lavender scent is really refreshing and relaxing during the night. 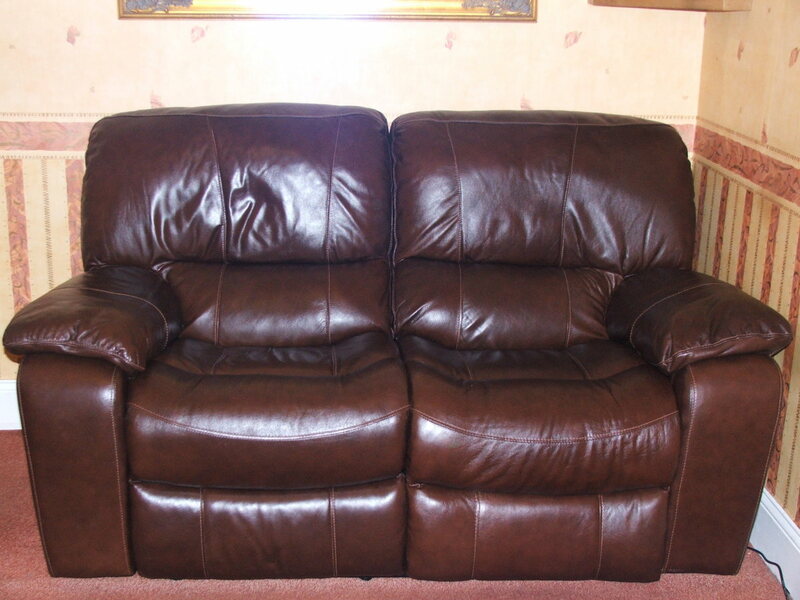 We even have a 10-year warranty and paid so much less than we were expecting to pay. The only downside for us is my husband who has always been an overly hot sleeper and reports being a bit too hot on warm nights with this mattress. He says he loves the feeling too and even wants to keep the mattress for now. We’ll see once the warmer nights of the summer hit, we just might end up switching to BedStory’s gel memory foam mattress at that point, so we can get that same good feeling, but with a cooler bed. What’s your biggest hesitation about buying the BedStory mattress? How hot it will be. Whether you'll love or hate the lavender smell. How difficult it'll be to return it if you don't like it. Haha, no, I don't think I could do that! Thanks for the read Liz. Yeah, it's always a little scary buying a mattress online. This is a very detailed and useful review.Will you mattress hop and swap it for another just before the trial period is up? Our last mattress was a groupon buy, our first mattress via the internet and luckily turned out to be ok.